When you’re experiencing a period of low productivity, it’s become a common reminder from well-meaning friends (and mugs, and throw pillows, and the occasional framed letterpress poster) that “you have the same 24 hours as Beyoncé.” It’s true, technically (and temporally) speaking — but that sentiment alone is probably not enough to help you wring more out of each day, particularly considering that productivity has more to do with how you feel about yourself than how you actually spend your time. To ensure that you’re maximizing your waking hours, your best course of action is not to take advice from an optimistic (and slightly scolding) coffee mug, but rather, to plan your days in such a way that foster both your own feelings of power and control, and optimize your ability to get things done. Rather than being busy (but unproductive, as is often the case), it’s best to pare down, prioritize, and be ruthless in your scheduling. The first way to maximize your days is an unpopular statement but it really does work: You need to make them longer by getting up early. Despite what our culture has taught us, there’s no morality to early rising — you’re not a better person or even a more disciplined person if you get up early. But you are a person who has more time to get things done. Alternatively, you could stay up later, but if you’re a work-by-night kind of person, you do run the risk of getting in on the action after everyone. Instead, try getting a jumpstart on your day, even if just a few days per week. Then, use that time to either work on your passion projects, get your chores done (early morning laundry is surprisingly satisfying), exercise, or do whatever else often falls by the wayside during your long, over-committed days. 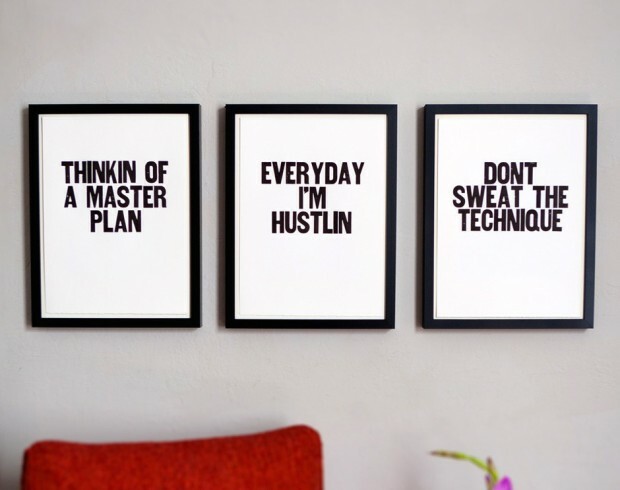 Image via Paper Jam Press. Buy these prints here. Getting up earlier also has the added side effect of making you more tired at the end of the day, which can help regulate your sleep patterns and break bad habits, like binge-watching Netflix before bed. Which isn’t to say that some time spent zoning out isn’t good for your productivity — it is — but getting poor sleep, which TV before bed often leads to, is a pretty surefire way to make your days less productive, not more. In fact, taking time out of your day for yourself is another important way to maximize your days. When you feel busy and stressed, you tend to forget things, perform tasks more poorly, and even get sick more. It’s a sign that you don’t yet have a well thought out opportunity management system. Though it may seem counterintuitive, the best way to be more productive is to schedule small amounts of time wherein you’re permitted to be unproductive. Whether it’s an extra 10 minutes before you get out of bed that you spend scrolling leisurely through Twitter, a long-ish walk to get lunch in the middle of the day, or an extra 30 minutes to read before you turn in, carving out these small time treats can thwart stress and make you feel much more in control of your own time. In this way, laziness can actually be a gateway to productivity. Reducing stress can also be as easy as leaving enough time to get from one place to another. Consider how mind-numbingly infuriating (not to mention disrespectful to whoever you’re meeting with) it is to be late because you were stuck in traffic, or because you didn’t budget enough time to find parking, or because the bus ran late. Instead of trying to cram events and commitments together back-to-back with little time to actually arrive, try to mindfully group together events and situations. If you know you need to pick up groceries, drop the kids off at soccer practice, and take a client meeting, make sure your schedule leaves time for unforeseen circumstances. And if that means fewer actual events in one day? That’s fine — push off that meet-up with friends or that conference call until next week, when you might be able to get there more feasibly. 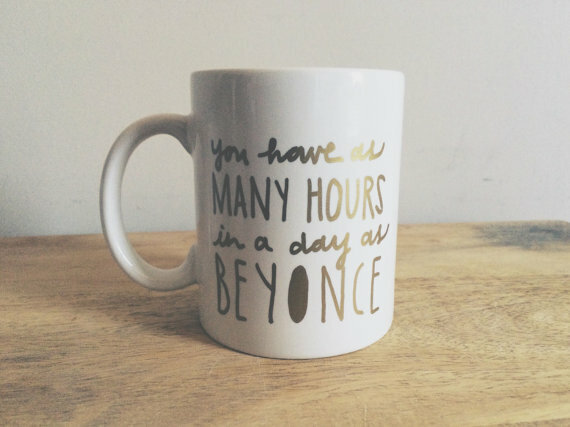 There’s also the argument that Beyoncé, in fact, has more time in a day than regular people, because she has a team of handlers, assistants, nannies, and other people to take care of things for her. You might not be able to hire the detail that she rolls with, but there is a lesson to be learned here: Delegate. If there are parts of your day that you particularly don’t enjoy, consider farming them out to someone else. Whether it’s asking for help from your significant other (she works closer to the dry-cleaner anyway, so why not ask her to swing by and get the laundry? ), giving tasks to the people who work for you, deputizing your kids by entrusting them with more chores, or actually hiring someone to do minor time-saving things for you, you can trade your time for goodwill, money, or other favors to free up your hours. To get more out of every day, the key is to utilize your hours better — essentially, to work smarter, not harder. Or at least not more. That includes minimizing the amount of time wasted spent on things like fixing mistakes, making up for being late, and rushing to get things done because you’ve committed to too much. When you cut those things out and plan your days with efficiency in mind, you’ll find your 24 hours start to look a lot longer. 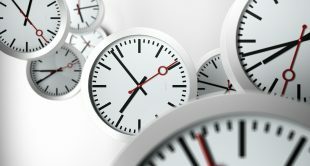 When is the Best Time to Work on Your Art? Is Too Much Praise Ruining the Quality of Your Work?